The CNN segment that we filmed at Thrive a few months back is now online. Have a watch as practice owner Tamar Amitay, PT, MS and physical therapist Amy McGorry, PT, DPT, MTC, talk about and demonstrate manual therapy techniques on a patient. Here at Thrive Integrated Physical Therapy, PC, our physical therapists identify the faulty mechanics and movement patterns that contribute to and drive one’s pain. We’ve found that manual therapy coupled with an appropriate therapeutic exercise program really makes a difference. At Thrive we look for the root cause as well as underlying movement dysfunctions to base our interventions. We are dedicated to getting our patients back quickly in the game of life! If you’ve been following along with our Instagram, you may have noticed that Thrive has had a few in-services with the amazingly smart and talented Giulia Pline. 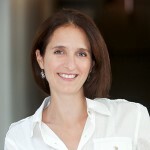 Giulia introduced our entire staff to the Threes Physioyoga Method, which merges physical therapy principles with yoga. What more could we ask for? We were so impressed that we wanted to know more, so we decided to host, and have our staff participate, in their Intro Course for Physical Therapists which will take place right here at Thrive on February 23rd and 24th. We can’t wait to bring all of this new knowledge to our patients! This introductory weekend consists of foundational knowledge regarding the teaching of yoga as a mind-body-spirit wellness modality and how this modality can be integrated into traditional physical therapy for the benefit of the patient and the clinician. We will illustrate how to integrate a yoga movement based assessment tool and yoga movement/posture prescription including specific cueing, modifications, and pose transitions into a traditional physical therapy treatment regimen. This knowledge will provide physiotherapists the foundation to integrate mindfulness, breath work and yoga postures as a therapeutic modality. 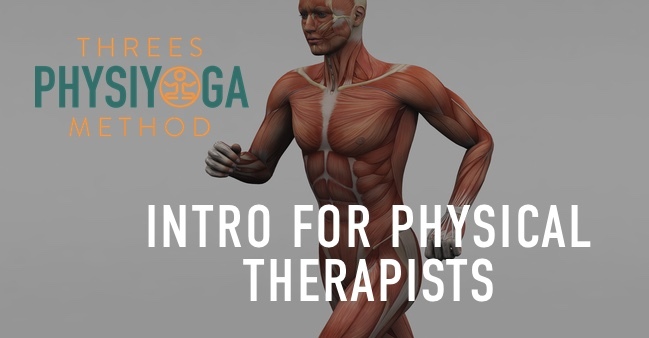 The course will give you 13.5 hours of practical learning including case studies, a comprehensive movement assessment tool, therapeutic techniques and yoga sequencing. how mindful awareness facilitates neuromuscular re-education for optimal, safe, and efficient movement. Hurry, there are only a few spots remaining. Hello Everyone! My name is Jari Haile and I’m so excited to be joining the team at Thrive Integrated Physical Therapy! With experienced and skilled clinicians, amazing patients and a beautiful clinic located in downtown, what more could I ask for! I am an east coast native – born and raised in Maryland. After high school, I moved to Pittsburgh to study Athletic Training at Duquesne University. I was ready to trade in the east coast winters for the sunny beaches of Los Angeles, so I moved across the country to obtain my Doctorate in Physical Therapy at the University of Southern California. After practicing in healthcare for nearly a decade, I decided to move back east and relocate to New York City. People often ask me, “Why in the world would you leave Los Angeles?” Being from Maryland, I always felt as if the east coast was calling for me. I missed the hustle and bustle, the daily interactions with new people, and most of all the proximity to my family. However, there are things that I dearly miss about LA: nearly perfect weather year-round, easy access to amazing hiking trails and mountains, and an abundance of delicious international cuisines. In order to provide a smooth transition to NYC, I decided to try to find my favorite things about Los Angeles in NYC. First, is my love for hiking. In LA, there are many canyons, mountains, parks and scenic overlooks. 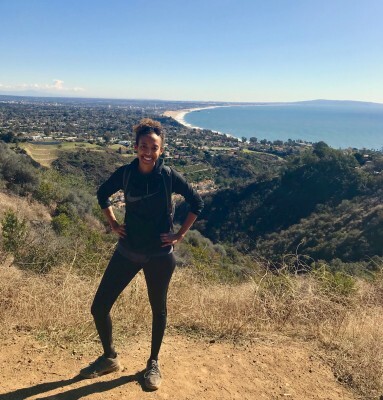 My favorite hikes included the Solstice Canyon and Temescal Canyon Trails in Malibu. I enjoyed the ability to get an amazing workout, be nestled amongst the trees, and also get a breathtaking view of the Pacific Ocean. Through my research, I was pleasantly surprised that I can explore the great outdoors not too far from the Big Apple. I am excited to check out Breakneck Ridge Trail which offers coveted water views and an almost 1,400 feet elevation gain. Also, it is accessible via train, which is an added bonus! Another thing I will miss is the amazing diversity of global cuisines that can be found in Los Angeles. I will miss getting Bun Thit Nuong Cha Gio from my favorite Vietnamese place, Shoyu Ramen from my favorite Japanese spot, and Korean BBQ from so many great locations in K-town. I have found that the diversity of cuisines located in LA can actually be rivaled in NYC. I am quickly developing “new favorites” that will replace my lost favorites of Los Angeles. However, there has been no competition that rivals the amazing tacos and Mexican cuisine from Los Angeles. That is one thing that NYC cannot replace. If you have any suggestions on your favorite hikes, places to eat, or local tips please let me know! I’m excited to start a new journey and to explore this vibrant city. PLEASE NOTE: Jari’s schedule is now open and accepting both new and established patients. 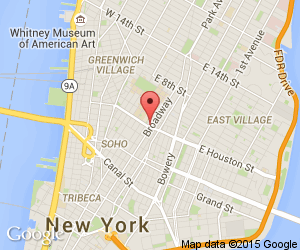 Give us a call to get set up an appointment (212) 254-7750 . READ HER FULL BIO HERE. Thrive! Integrated Physical Therapy is hosting the following upcoming University of St. Augustine for Health Sciences continuing education seminar. PTs please join us for the S1 – SPINAL EVALUATION AND MANIPULATION: Impairment Based, Evidence Informed Approach, a seminar instructed by Larry Yack, PT, DPT, MTC, August 10-12th, 2018 in New York, NY. These seminars combine pre-seminar webinars with a face-to-face lab experience. This is a three-day seminar emphasizing interpretation of basic science knowledge toward the development of clinical skills needed for differential evaluation and effective treatment of spinal dysfunction. General principles of functional anatomy, tissue and joint biomechanics, pathology and treatments are applied to clinical examination and treatment. Includes instruction and techniques of evaluating structure, active movements and palpation for condition, position and mobility of the spine. Manipulation techniques are instructed at all levels of the spine except the subcranial area. Supportive treatments, such as exercises and distraction, are instructed and practiced to a limited degree. At the conclusion of the seminar, the student should feel confident to examine and treat most common spinal conditions. Register today to secure your spot! CLICK HERE. In truth, Pilates and Physical Therapy (PT) have much in common – including a history rooted in building strength and maintaining mobility. Although the approaches may differ based on skill sets, pain free function and individual attention are two of many common threads that link the disciplines. The most important connection between Pilates and physical therapy: freedom from pain. For physical therapists, the approach to pain begins with pathology: searching for the structural drivers, both neuromuscular and articular, of a patient’s pain. PTs can then use techniques like manual therapy, strength training and movement re-patterning to help eliminate pain. Somewhat surprisingly, the practice of Pilates was also born out of a desire to help individuals recover from painful injuries. In fact, Joseph Pilates’ first innovation was attaching springs to hospital beds to help bedridden patients build strength. Still today Pilates maintains a place in the physical rehabilitative community for addressing pain. Both modalities look to improve alignment, joint articulation and mobility and movement control and fluidity as means to becoming pain free. Because of this major overlap in objectives Pilates acts as an ideal transition out of PT and back into movement and sports. 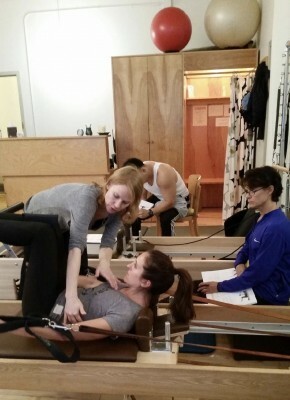 Another link between Pilates and physical therapy? They’re built on the idea of a close relationship. If you are interested in exploring Pilates or physical therapy, you need guidance from comprehensively trained professionals. Professionals from Mongoose Bodyworks Pilates and Thrive Physical Therapy have been working together over the years to help patients and clients recover and rebuild, even in the wake of an injury. With open atmospheres, and highly qualified staff, there are few better places to begin your recovery or fitness journey. You’ll be able to build strength, increase flexibility, and enjoy a more mobile life. To get started with a consultation, contact us and Mongoose Bodyworks Pilates. Hello all! I’m writing today as a person inspired by new information and am compelled to share with you what I’ve learned. For those of you familiar with my writing, you’ve seen me post previously on diastasis recti (DRA) and it’s management. 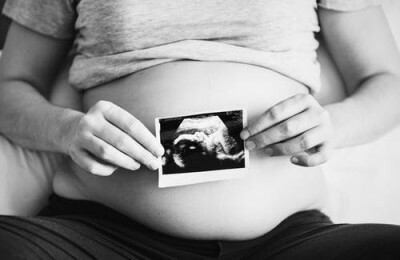 In general, it is an area of great interest for me, helping pre and post partum women (no matter how old their children) recover function, return to activities they love, and feel their best. Many women, and some men, have been coming to Thrive concerned about the look of their DRA. As a mom myself, I understand this concern…adjusting to our post baby bodies is effortful and knowing what is in our power to change and how to do it is ambiguous. As a physical therapist, I look at DRA from another perspective as well: how can we clinicians enable our patients to move with ease, support load through the abdominal wall, and ultimately participate in life fully? I want for my clients to, without pain, return to activities they love while feeling good about how they look. Elizabeth D’Annunzio Shah, PT, DPT, MTC, OCS, and classmates at The Abdominal Wall After Pregnancy & Diastasis Rectus Abdominis. 1. THERE IS NO SUCH THING AS A ONE SIZE FITS ALL APPROACH TO DIASTASIS RECTI MANAGEMENT. Just as no two persons are the same, no two DRAs are either. The separation of the linea alba often times reflects dysfunction, but what generates and perpetuates said dysfunction is different in all people. While this may seem obvious, many people come to me seeking a quick fix, or looking for the internet resource, book, or exercise DVD that will solve all their problems. While there are some wonderful resources out there, ultimately creating an individualized approach to DRA management based on the patient’s unique physical attributes, activity requirements, and goals is the best way to enable healing. 2. THERE ARE PEOPLE OUT THERE DOING GREAT WORK IN THIS FIELD. At the course, I was surrounded by physical therapists and fitness professionals seeking to bring to their patients and clients the most current information and nuanced care possible. Meeting these people in person, networking and drawing regional connections, and combining our shared experience is essential in distributing information and encouraging the best possible practice as we approach our post partum clientele. 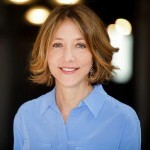 Similarly, I am a part of a wonderful network of women practitioners in the New York metro area the includes doulas, PTs, OTs, group fitness professionals, and personal trainers who’s job it is to know the best care providers are in our region for women’s health, rehabilitation, and fitness. When you are seeking care for your DRA, regardless of where you live, your care provider should be approaching you with a nuanced, whole body perspective and be informed on the resources available in your community, online, and on paper that might serve to round out your care and exercise experience. Sometimes, the correct answer to a posed question is vague and yields more questions. Is there a one-size fits all fix to DRA? No. Can person improve the overall health, function, control, and aesthetic of the abdominal wall post DRA? Yes! Partner with a passionate practitioner that’s eager to problem solve, and get to work! In other words, seek out professionals with specific expertise in this area of treatment, readers. You will be better served this way, and you are worth it! 1. The Abdominal Wall & Diastasis Rectus Abdominus. (2018). The Abdominal Wall. 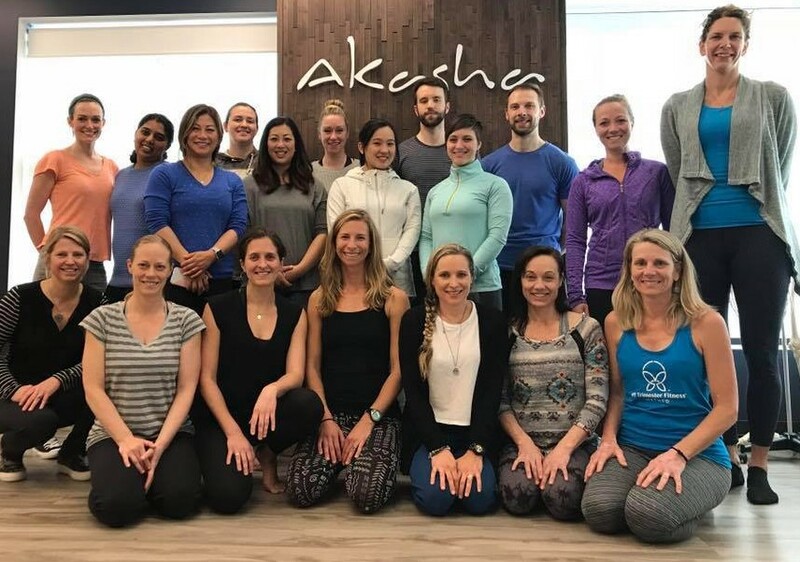 Surrey, BC: Akasha Studio. 2. Lee, D. (2017). Diastasis Rectus Abdominis: A Clinical Guide For Those Who Are Split Down the Middle. Surrey, BC: Learn with Diane Lee. Now is the time to focus on YOU! Pain doesn’t have to rule your life. Physical Therapy is a proven alternative to surgery and prescription drugs. Break the cycle of simply surviving and make this the year you THRIVE. Check out the rest of our website and give us a call to set up a consultation and find out how physical therapy can help you break the pain cycle and get your life back! Are you a PT who wants to enhance your treatment effectiveness by improving your skills? Thrive is Hosting a University of St. Augustine for Health Sciences Continuing Education Seminar. Join us for the THRUST – Advanced Manipulation if the Spine & Extremities seminar April 21-22, 2018. Those PTs with any earned Manual Therapy Certification and S1 USAHS seminar attendance or Fellow of AAOMPT are welcome to attend. For more information on the seminar or to register please CLICK HERE. When the winter Olympics showcases Curling there’s always an uptick of interest in the sport. 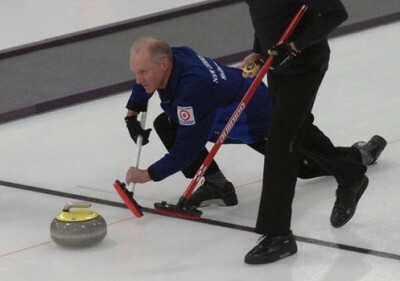 Being married to a US Senior National Curling Champion, I’m always intrigued, and have considered trying it, but I don’t want to (literally) hit the ice. Although Curing can appear sort of silly, with all that sweeping of the ice, it’s actually QUITE physically and mentally challenging. It’s literally a game of “chess on ice,” both brawn and brain are required for a successful outcome! On top of strategy and teamwork, you need strength, cardiovascular endurance, balance and flexibility to successfully compete. First, a little about the game: There are 2 teams of 4 players or in the newer mixed doubles game, 2 players, that “deliver” or slide a 42lb granite stone across a sheet of ice toward a circular target of concentric circles dubbed “the house.” Points are scored for getting these rocks closest to the house’s center with both teams throwing stones in “ends” which are similar to baseball innings. Each game consists of 8-10 ends. Each team throws their stones trying to get as many rocks into the center while knocking their opponents rocks out, similar to shuffleboard. But why do they sweep in front of the stone? Curlers induce a curl when they push out of the hack in a delivery. They turn the stone clockwise or counterclockwise giving the handle on the stone a turn with their wrist before releasing, thereby inducing a “curl.” The path of the rock can be influenced by the sweepers who accompany the rock with brooms as it travels down the sheet of ice. Sweeping warms the ice in front of the stone, making the stone curl less. It decreases the friction that would slow down the stone, allowing it to go further. Sweeping can also prevent the rock from curling past its intended target. What many don’t realize is that there is a great deal of physical activity involved in curling. It is a full body activity and requires an amazing amount of physical strength and endurance to compete. Sweepers apply and downward pressure and move the brush back and forth while jogging sideways on ice. It involves a push and pull action and can be taxing to the rotator cuff pecs, deltoids, biceps, triceps, lats and forearms. A strong lower body provides a solid foundation and enables one to propel down the ice. A strong core aids balance and comes in handy both in starting and stopping sweeping. In a typical game, players can sweep between 48-60 rocks per game. It is a test of endurance as it is both aerobic and anaerobic at the same time. It involves bouts of hard exercise followed by active rest and then repeated. In addition to aerobic exercise, anaerobic interval training is recommended at least once a week to promote quicker recovery times between shots and games. After pushing out of the hack, the delivery of the rock requires the curler to balance almost their entire body weight over a sideways turned sliding leg with the opposite leg stretched out behind them. That sliding leg has to maintain that position isometrically using the quads and gluts. Hip flexors, hips, hamstrings and groin muscles need to be flexible. The gluts and gastrocs provide the power to thrust out and the anterior tibialis and gastrocsoleus stabilize the sliding leg during the delivery. A balanced sport specific training program targets specific aspects of the sport improving strength, balance, cardiovascular condition and flexibility. Throughout the week we will be adding one exercise per day to our blog to help you get in shape and hurry hard. Enjoy and congratulations to all of the Olympic Athletes. While maintaining a straight upper body with the face and chest upright, take a large step forwards on to the Bosu. Looking straight ahead, lower your body until your front thigh is horizontal to the floor, and then push off with the forward leg. Use both legs and challenge yourself further by holding dumbbells. Repeat 10 reps on each leg. Dynamic : Groin Stretch Perform before a game to warm muscles, it should not be static but should get you moving. Lunge directly to the side with toes facing forwards. Push off the foot and return to the initial position to complete one rep. Do 10 reps, rest and repeat for 3 sets. To be sport specific and mimic the action of sweeping, place a 10lb weighted plate atop a towel and insert a 15-20lb fitness bar into the hole. “Sweep” across the gym floor in 30 second intervals, left to right and then right to left. Rest and repeat 5-10 times. Core strengthening: Ball Roll Out Rest your forearms on top of the PhysioBall with the balls of your the feet on the floor- slowly roll the ball away from the body without rounding the back and return to start to complete one rep. Repeat 5-10 reps per set, build to 3 sets.